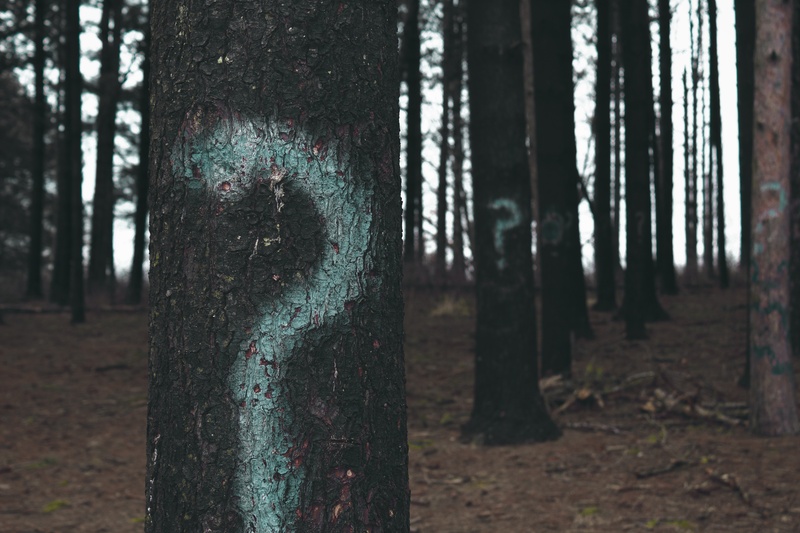 In the past year or two, there has been one question which seemed to repeat itself on a weekly basis, and as such it resonates with me now; “What is the difference between Google Apps for Work and Google Drive for Work?” Now, as much as I like wandering through the never ending forest of Google questions, hacking away at individual inquiries swing by swing, I much prefer to level the whole batch at once*, so here goes: Apps vs. Drive, once and for all. Let's start with some background info. *For what it's worth, Cloudbakers is no fan of actual deforestation. After all, the cloud drastically eliminates paper usage! When I first started my tenure at Cloudbakers a couple of years back, there was only one primary subscription tier, then named Google Apps for Business -- part of the Google Enterprise division. The payment terms were flexible and there were complimentary products (such as Google Vault) available as stand alone additions, however one of Google’s main selling points against alternative solutions was that their license subscription was a flat rate of $50/user/year. This subscription boasted Google’s four 9’s uptime, with the core services all covered in the SLA (Gmail, Drive, Calendar, Contacts, Sites, Google Talk/Hangouts). Mid 2014, Google introduced a new license tier called Google Drive for Work* and at about the same time rebranded the aforementioned license tier as Google Apps for Work -- now part of the also rebranded Google for Work division. *Drive for Work is often referred to as Apps Unlimited; the two terms are synonymous, and we will use the former here. Google Apps for Work caps individual storage at 30GB* per user. This storage is unified across each users’ Drive and Gmail accounts. Additional storage may be purchased on a one-off basis, for what is typically a nominal monthly fee. Google Drive for Work comes with unlimited storage for each user. Unlike some competitors, when Google says unlimited storage, they mean it. Supporting evidence for this can be that Google Drive allows you to upload a single file up to 5TB in size. *Native Google Drive files (Docs, Sheets, Slides, Drawings, etc.) do not count against your storage. As mentioned above, Google’s archive and eDiscovery tool, Google Vault, can be purchased and added onto a standard Google Apps for Work subscription for an additional $50/user/year (on top of the initial $50 cost), but does not come standard. 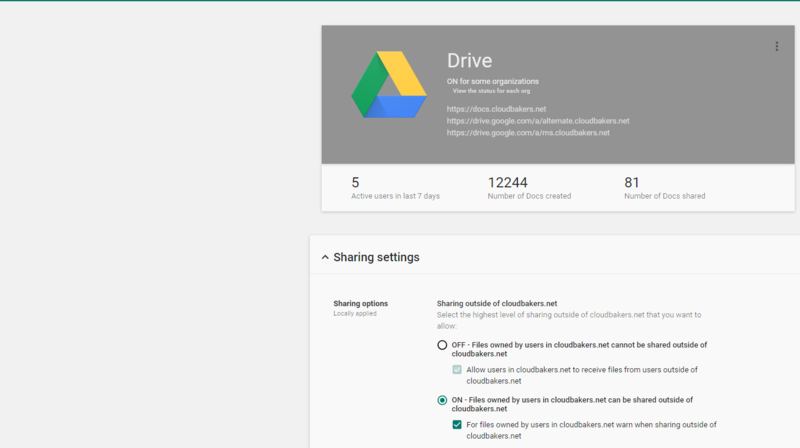 Google Drive for Work subscriptions come standard with Google Vault. 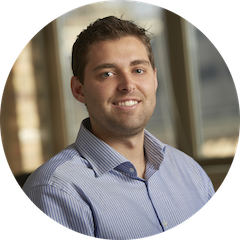 Google Vault is an especially valuable tool for healthcare organizations. If being audited, an organization will need to be able to effectively search their database and document histories, identifying who has access to what. With Vault this is easy--for more info, check out the Auditing section of our FAQ eBook. Google Apps for Work has a great toolbox of admin features for most organizations, however for some clients I have worked with, more granularity is requested. Let’s look at some pictures to illustrate the increased functionality and control presented by Drive. Note that Apps for Work (above) lacks a few of the key features shown in the Drive for Work (below) interface. Specifically, Drive users are able to whitelist domains, and disseminate permissions based on a more granular, organizational unit (OU) structure. This ensures that, at a domain level or an OU level, no one in your organization shares documents outside of a trusted domain pool. But present in Drive for Work. Google Drive for Work gives admins insight into Google Drive activity, even allowing for alerts to be set, proactively managing your company's data. These advanced audit and reporting functions ensure that admins are able to maintain the utmost level of security within the organization. Below is an example of the Reports tool not available in the standard Apps for Work subscription. Apps for Work (above) does not include the My Maps Pro or Maps Coordinate. Drive for Work (below) provides default access to each of these services, allowing users to create and share custom maps, while also providing mapping for mobile teams. Finally, Drive for Work provides additional security and compliance measures not present in Apps. Google's security terms are expanded in Drive for work, and they provide Data-loss Prevention (DLP). Their DLP policies can be configured to prevent leakage of sensitive company or personal information, whatever that may be (SSN's, for example). For more information on security, compliance, and numerous other feature categories between Apps and Drive for Work, click here. Hopefully this clears up some of the main differences between Apps for Work and Drive for Work (AKA Apps Unlimited). Be sure to reach out with any questions!